Posted: February 19, 2009 3:09 p.m. Updated: February 20, 2009 12:30 p.m.
Renfue performs at Yes I Can's Summer Meltdown concert at Golden Valley High School last May. Renfue performs their winning set in the SCV Rock Star finale at the Sports Complex in September. Renfue returns tomorrow night to the Santa Clarita Sports Complex, where the band won top honors in The-Signal.com's SCV Rock Star contest in September. Clockwise, from front and center: Yvonne Marden (lead vocals); Sean Alch (bass); Vincent Bledsoe (guitar); Shane Alch (keyboards); Rob Jones, who just departed the band this week (guitar); and Ryan Weitz (drums). Tickets for Saturday night's show are $10 at the door, or $8 with a flyer downloaded from www.higherlevelshows.com. Find the Santa Clarita Sports Complex at 20880 Centre Pointe Parkway, Canyon Country. For more info about Renfue, e-mail [email protected] or visit www.myspace.com/renfue, www.higherlevelshows.com and www.garageband.com/renfue. With their first EP and a growing legion of fans in the Santa Clarita Valley and the West already behind them, five-piece alternative rock band Renfue will rock the house tonight night in a headlining set at the Santa Clarita Sports Complex. Also set to take the Sports Complex stage are SubVrosa, Your Somber Ghost, Anticipating Romance, Forrest Television and Lovers Make Liars. Along with earlier fan favorites, Renfue will perform a pair of new originals - "Dancing with a Liar" and "Dear Friend" - the SCV-based band just completed for a new single they will release independently. Both tracks are due out in late March. "Dancing with a Liar," the emphasis track, "is about wanting to express your feelings for someone but not knowing exactly how to say it," said Renfue lead singer Yvonne Marder, 22, lounging with bandmates on a couch at Command Recording Studios in the Valencia Industrial Center. "So in a way you're hiding your feelings, dancing around your emotions, being a liar because you're afraid to express the way you feel." Marder, who writes most of Renfue's lyrics while the band creates most of the music, describes "Dancing with a Liar" as "an upbeat song" and "Dear Friend" as "a lot heavier, a lot darker." Renfue worked on the new tracks with in-demand producer Fred Archambault (Avenged Sevenfold, Eighteen Visions' "Obsession," Alice Cooper's "Eyes of Alice Cooper"), who took an interest in working with Renfue after hearing the band's four-song debut EP, cut with producer/engineer/musician Chris Collier at Command in January 2008. Bret Lieberman of Santa Clarita-based Higher Level Productions, who manages Renfue under the aegis of Good Karma Music, slipped the EP to Archambault at a summer 2008 music conference in Las Vegas. When Archambault returned to Los Angeles and listened to the stack of CDs dropped on him by bands and managers, he thought Renfue's was the standout. "Fred heard the same things I hear - something very powerful and unique," Lieberman said. "I was like, ‘Oh, there's something cool about this band,'" Archambault said. "‘I would love to see what they're all about.'" 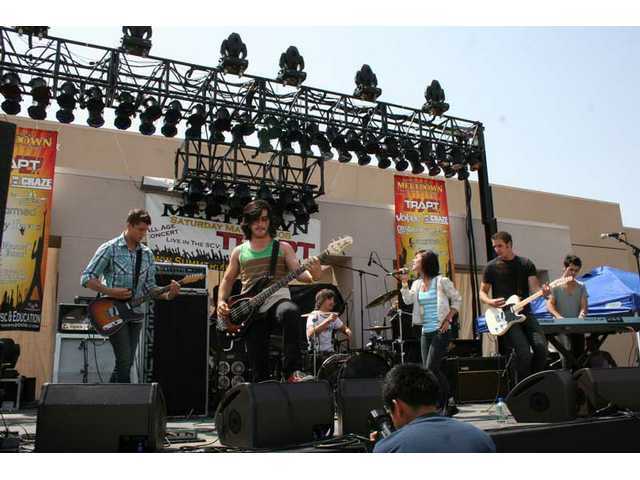 "(Fred) came to one of our shows at the SCV Sports Complex just to get a better idea of who we are as a band and hear other songs that weren't on our EP," said guitarist Vincent Bledsoe, 23, who cofounded Renfue in 2006. "After that show, we went outside and talked with Fred about working together." "It was actually me seeking them out and wanting to work with them," Archambault said. "I think artist development, especially on (the producer's) end, is part of where the (music) industry is going, because (record) labels don't really exist like they used to. Gladly, the band accepted." Renfue scored top honors in The-Signal.com's "SCV Rock Star" battle of the bands in September, so they redeemed some of the free time they won at Hubbadaddy's Rehearsal Studio in Centre Pointe and Command in Valencia to work on pre-production for the sessions and complete the two new tracks. "Hubbadaddy's was awesome," Bledsoe said. "It's really close to where we all live and it's in a cool area. It's quiet and you just get in and do what you want and get out. (Studio owner) Kevin Cloud is a pretty cool guy. His equipment is better than everybody else's." "They were excited, fresh off winning (SCV Rock Star)," Cloud said. "They came in with Fred, went into the studio and jammed, came right back the following week, and then started recording. Great band." Renfue checked into the Hobby Shop in Highland Park to cut basic tracks, and returned to Command to finish the vocals. "Command is a really nice studio, compared to the first studio where we recorded," Marder said, not referring to Hobby Shop. "That was very scary, like a dungeon. We had to hold our cell phones up to light up where we were recording. But Command is so comfortable, and the people are friendly. We can come here and feel at ease, not all on edge." 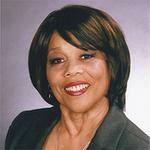 "It's nice to have a good studio in the [Santa Clarita] area," Bledsoe added. "And [Command partner] Matt Twinning is really cool - he's got good hair." The last session at Command was to add Marden's vocals to "Dear Friend." "My understanding is that (the band and their producer) were pretty happy with it, and Bret was happy with it, and we were happy just to provide the studio," Robbie Altschuler, Command co-owner/producer, said later. "‘Dear Friend' is a song they played me late in the pre-production process, and I thought it was great out of the gate," Archambault said. "I was like, ‘Wow, this is a great song. It has so much potential. Let's do it.' It didn't take too much work to kinda shape it up. It's really a different vibe but still retains their identity." That identity is developing fast. While Bledsoe and former member Rob Jones cofounded Renfue as an instrumental duo, it grew into a full-blown alt-rock band with the addition of Marder (a Sylmar resident); bassist Sean Alch, 19; his twin brother Shane Alch on keyboards (both live in Agua Dulce); and drummer Ryan Weitz, 18 (from Canyon Country). After kicking around names for the band, they made one up, and Renfue has stuck. Much of the band's growth has come through its energetic live performances. In 2008, Renfue played all over Southern California including Hollywood venues such as The Knitting Factory and The Viper Room. They also delivered a well-received set at Yes I Can's 5th annual Summer Meltdown concert at Golden Valley High School in May, then toured the West, with stops elsewhere in California plus Oregon, Washington, Nevada and Wyoming. Bledsoe described Renfue's latest recordings as "more upbeat" than their earlier tracks. "The band's definitely evolving and we're just trying to find our sound," he said. "Every good band is distinguishable - you hear a second of a song and you know what band it is. We're working toward that right now, to define ourselves."